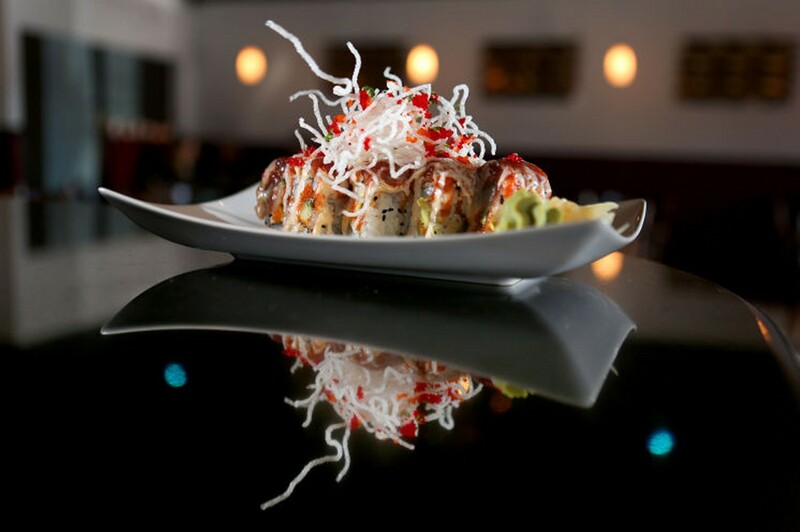 Pisces Sushi & Global Bistro | Modern casual fine dining restaurant that features global cuisine and global inspired sushi rolls. Along with 4th of July! 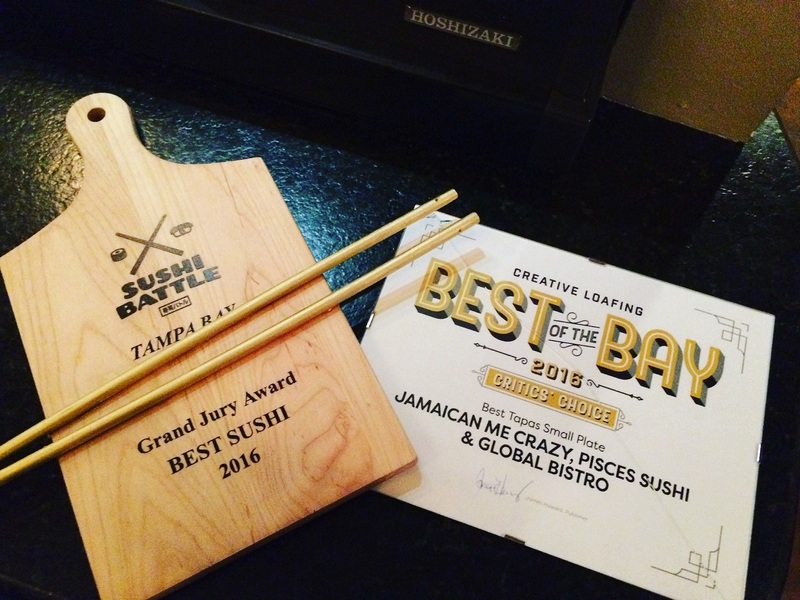 Congratulations to the Pisces Team for winning the Grand Jury Award at the Sushi Battle 2016! This WIN would have not been possible with out all of your dedication. 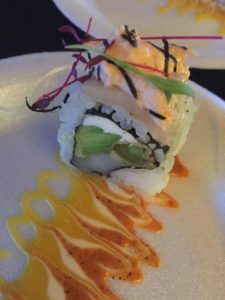 Massachusetts Sea Scallops, Panko Asparagus, Avocado, Cream Cheese, topped with Yellow-tail, Yuzu Salmon Mouse, Saffron Miso, Chipolte and Roasted Garlic sauce. Happy hour will not be available on holidays or special event dates. 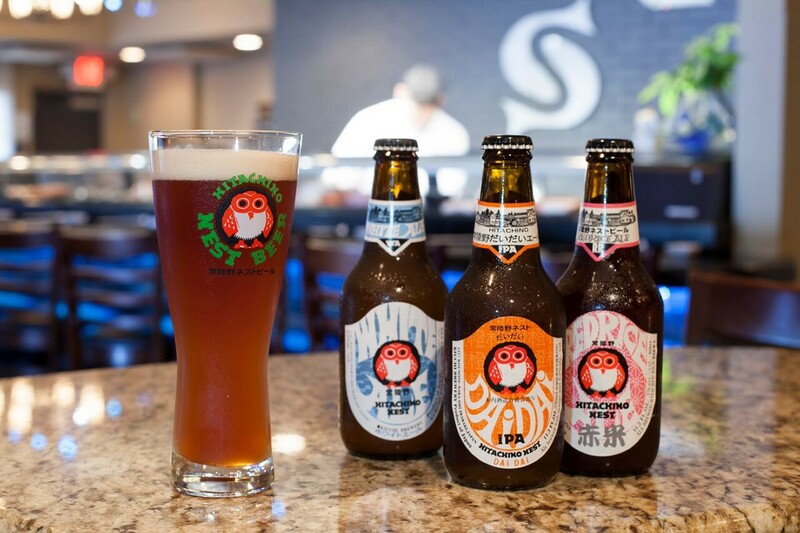 We reserve the right to change our happy hour at any time without notice.